In recent years, the number of college students diagnosed with mental illness has been rising steadily. Suicide has been identified as the second leading cause of death among college-aged students, and psychiatric disorders are the fastest-growing area of disability in college students. However, data suggest that the majority of psychiatric issues among college students go untreated. 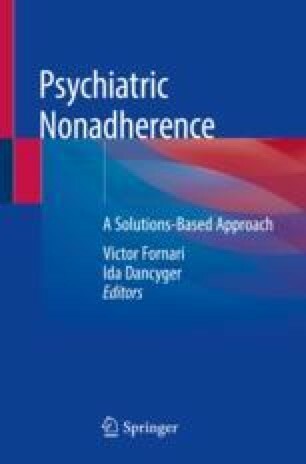 Barriers to psychiatric treatment engagement and adherence are identified. Strategies to increase treatment engagement and adherence are discussed. Braider L, La Lima C, Crimarco N, Hollander B, Reid-Russell A, Kane J, et al. Characterization of psychiatrically hospitalized college students. J Am Coll Health. 2018; https://doi.org/10.1080/07448481.2018.1500471. LeViness P, Bershad C, Gorman K. The association for university and college counseling center directors annual survey. 2017. Retrieved from https://www.aucccd.org/assets/documents/Governance/2017%20aucccd%20surveypublic-apr26pdf.